It’s an app written by Gustavo Sverzut Barbieri. 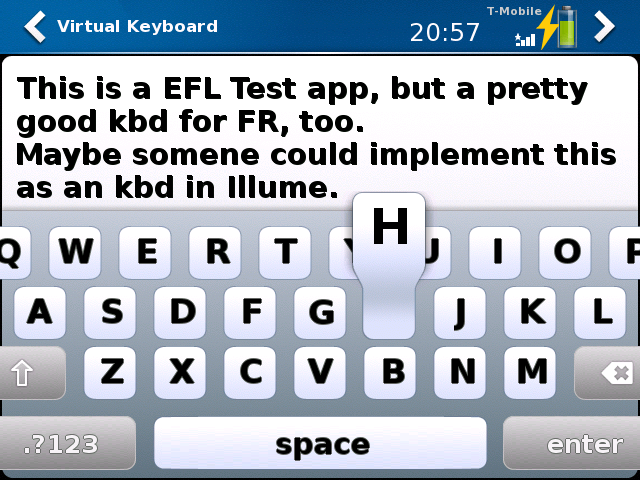 It’s an Iphone like virtual keyboard. You can find the sourcecode on googlecode.. I had to apply a little change to the code, to get it running on the Freerunner. 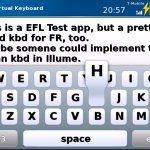 Maybe someone likes to modify this code and build a real virtural keyboard for SHR out of it? I hope i could motivate someone, as this would be a really nice keyboard.